Our 2018 Kwerky Christmas Greeting to you all. PS - CLICK THE ANNOUNCEMENT BAR AT THE TOP OF THE PAGE FOR A FREE MP3 DOWNLOAD! You’ve been wishing for some upbeat, ray-of-sunshine-in-a-dark-world music, but just can’t stomach the endless autotune of pop. Well, now you’ve found it. 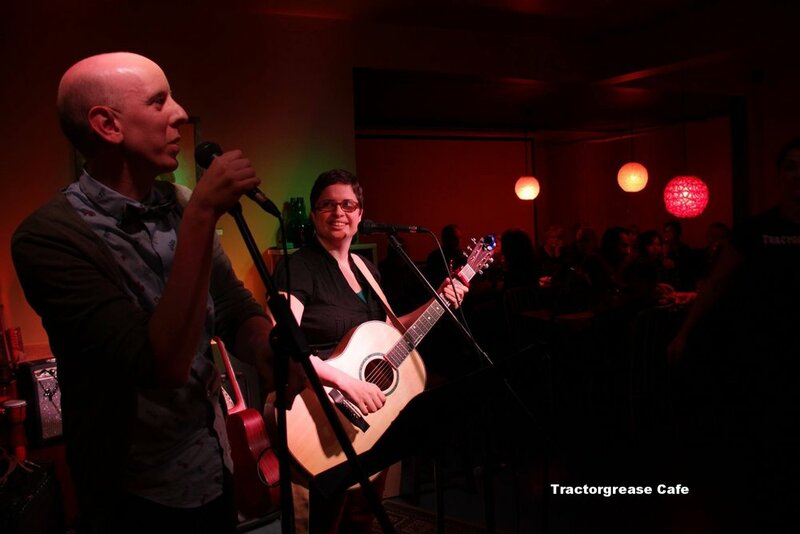 The Kwerks’ warm harmonies and fresh folk sound will have you tapping your toe and singing along in minutes, only to realize the lyrics are as authentic as the duo’s straightforward acoustic vibe. 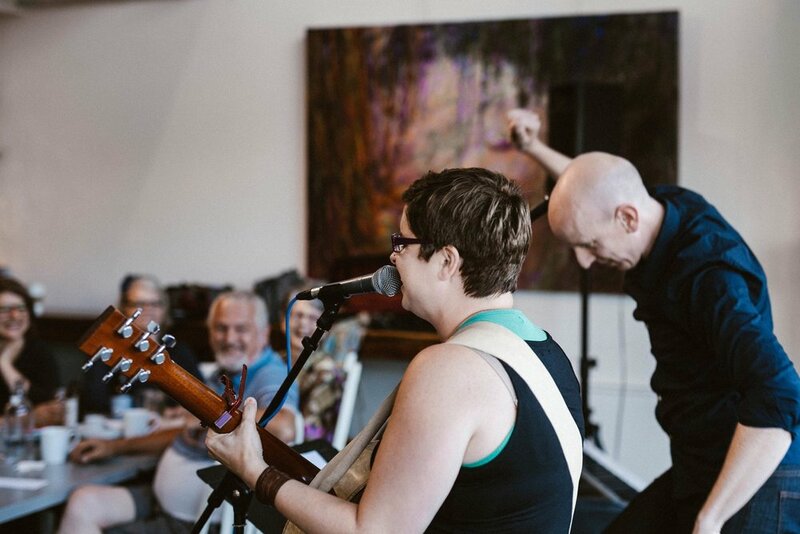 Laura and Ryan Koch are a married couple who dropped everything to pursue music, and in a few short years have built up an eager west coast fan base that has been itching for each new release they offer. Adding a gaggle of quirky misfits into the mix, the pair have expanded into a 6-person strong, full-bodied, toe-tapping, energy-packed band. The release of two EPs, a commercial deal with Dominion Lending Centres, and a music award nomination all landed in their laps in their first year (2015). 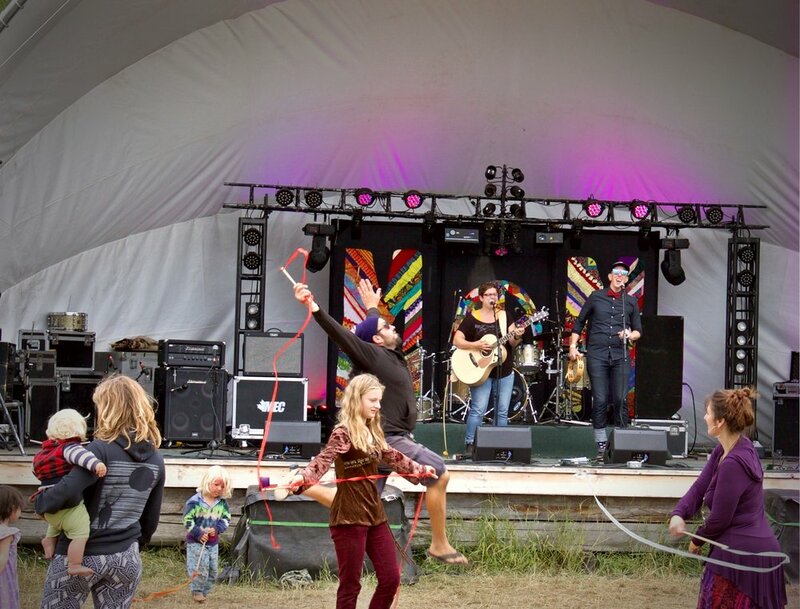 They’ve caught the attention of CBC Music by being propelled by their fierce voting fan base, KwerkNation, into the national TOP 10 in the Searchlight competition in 2018. They’ve scooped up two more award nominations, received a “Excellence in Performance by a Female Artist” Music Award, and released their album, Bigger Badder Dreams in March 2018. 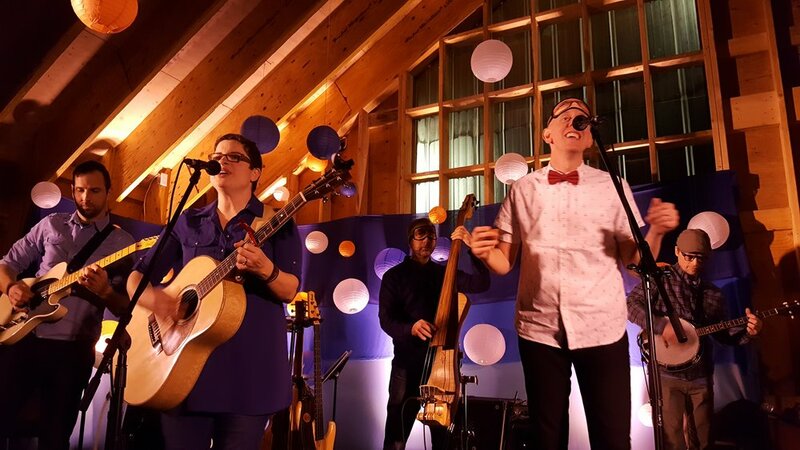 Both on the stage and on the screen as exhibited in their hilarious YouTube and Instagram, and Facebook presence, the pair and their band have been making their fans mighty happy as they blend authentic, heartfelt lyrics with fun, upbeat tunes. A solid mix of folk-pop, bluegrass and a little rock is what makes up The Kwerks’ sound, and their message is simple. Live life. Say yes. Be a little crazy.